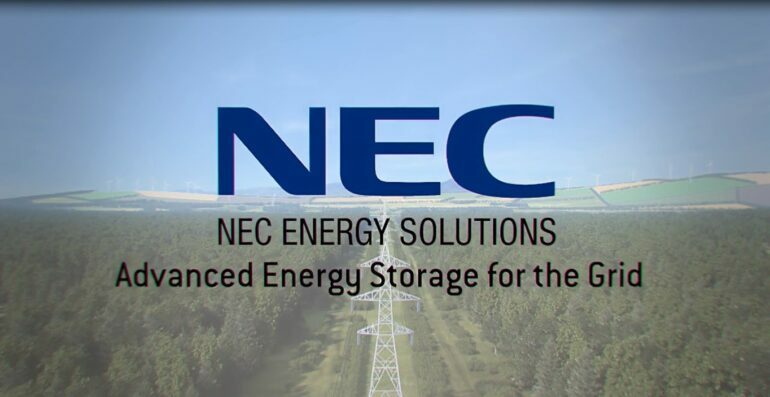 NEC Energy Solutions, Inc, which is a subsidiary of NEC Corporation, recently announced that it has now contracted around 50MW of energy storage projects with the firm VLC Energy, which is a joint venture company that is created by Low Carbon, another renewable energy investment company, and VPI Immingham, which is the owner of one of the biggest combined heat & power plants in Europe and a part of Vitol Group. The projects that go on to include the 40MW facility at Glassenbury, UK and around 10MW installation at Cleator UK will be the biggest portfolio of the battery sites that is connected to National Grid after it is operational sometime this year. The Cleator and the Glassenbury sites went on to secure 2 contracts with National Grid in the month of August 2016 for the BESS (Battery Energy Storage Systems) to offer an EFR (Enhanced Frequency Response) to the system operator in the UK. NEC-ES will be offering turnkey EPC and O&M services that include GSS grid storage solution, installation as well as commissioning and 10 years of its operation as well as maintenance for each of the projects. The facilities will also be operated by the NEC-ES under the renewed EFR guidelines. It will offer seasonal Triad avoidance services and even participate in all the other markets. The project execution is now underway and these systems are now expected to be set up and will be operational from the month of November 2017. The Operations Director of Low Carbon, Mr. Justin Thesiger stated that his team is extremely happy to be working with NEC Energy Solutions for developing UK’s biggest portfolio of energy storage plants for the National Grid. These battery sites will now be paving the way for many more renewable energy sources like solar, power as well as wind energy to be linked to UK’s total power mix by offering support in balancing the energy supply and demand much more efficiently. This in turn will be helpful to challenge the main causes of the climate change and also in meeting the increasing demand for renewable energy. The need for renewable source of energy is increasing at a rapid pace. So, many companies across the globe are coming up with some interesting ideas that could actually help in using more of renewable energy. An initiative taken by the NEC Energy Solution to set up and also operate the 50 MW grid storage is something that will send out a strong positive message to all the other countries. In a few years, most of the countries will be on its way to using the renewable energy to the fullest.